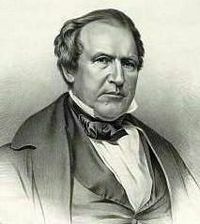 English: Andrew Jackson Donelson (August 25, 1799 – June 26, 1871) was an United States politician from Tennessee during the first half and the middle of the 19th century. Français : Andrew Jackson Donelson (1799 – 1871) était un juriste, diplomate et homme politique américain. Media in category "Andrew Jackson Donelson"